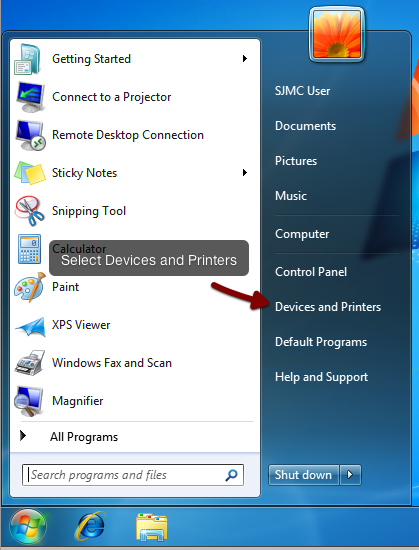 The Sharp copier in the SJMC front office can be used as a printer by installing the correct software on your Windows computer. 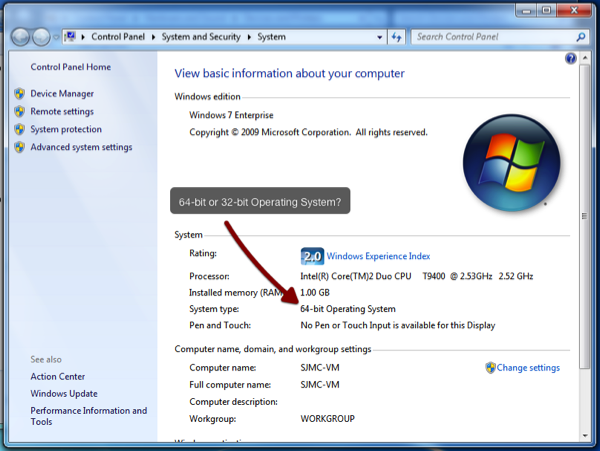 Before you do this Windows 7 users need to verify if they are running the 32-bit, or 64-bit version of the operating system. 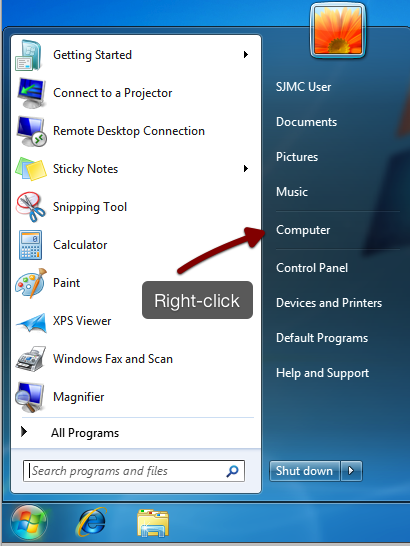 To check your version, click on you start menu, then right-click on Computer, and select Properties. 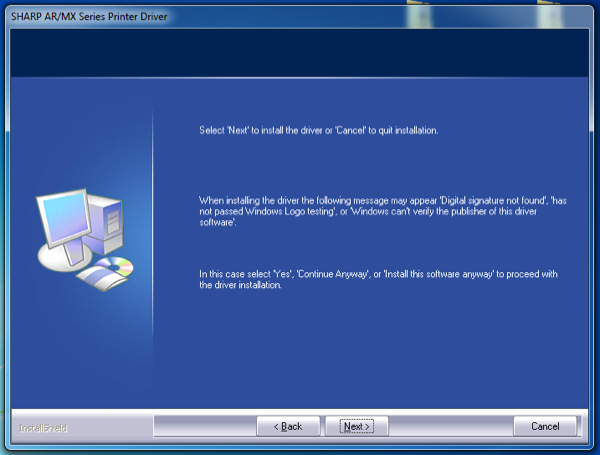 The window that appears will tell you which version of Windows 7 you are running. After downloading the ZIP file for your operating system, right-click on the file and select Extract All…. The files will be extracted to a new folder. 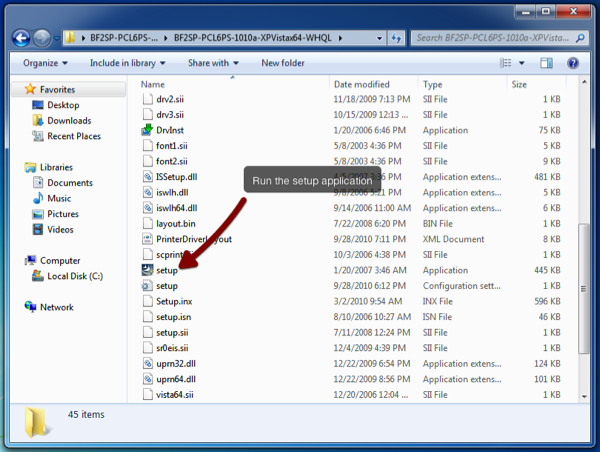 Find the file named setup in this folder and double click the file to run it. 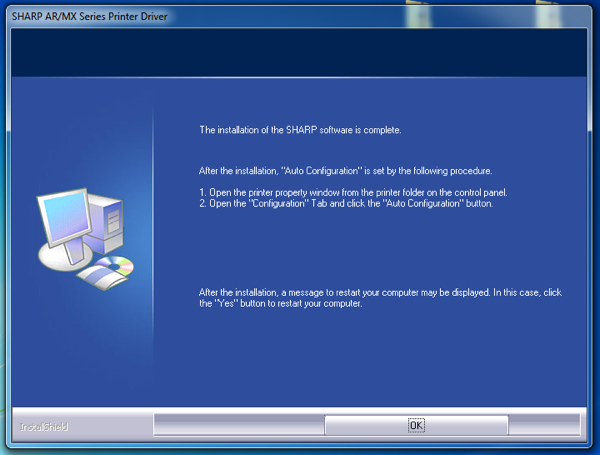 The next images will step you through the installation of the software. You will be performing a Custom Installation. The connection for the copier will be the first option, LPR Direct Print (Specify Address). 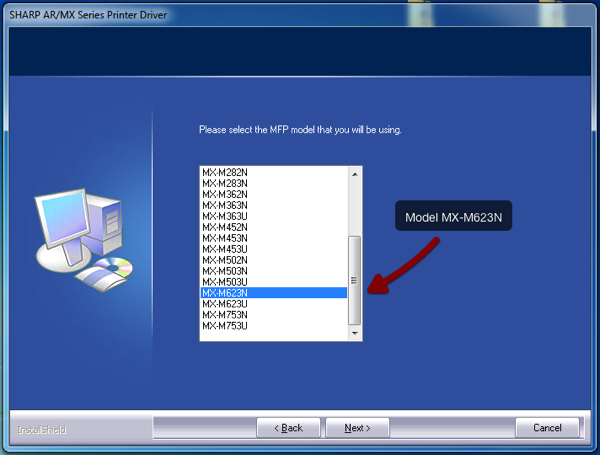 The model to select is MX-M623N. 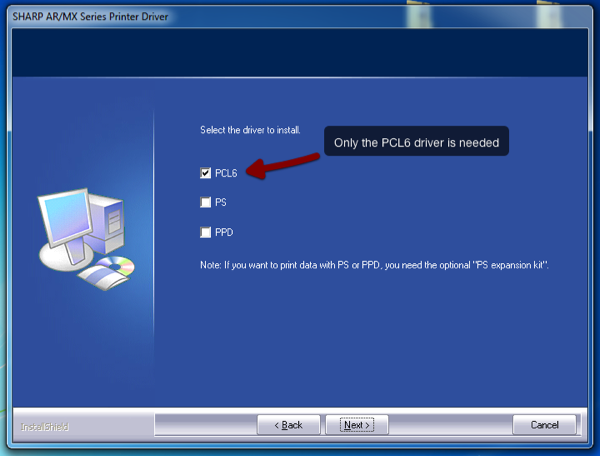 The only driver needed is the PCL6 driver. 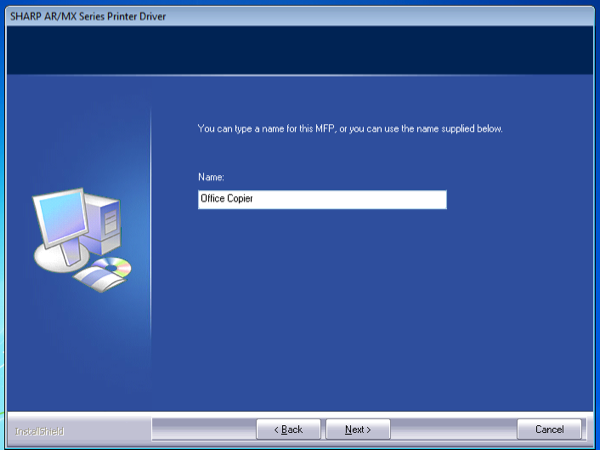 Name the printer, either accepting the default, renaming it something meaningful to you. 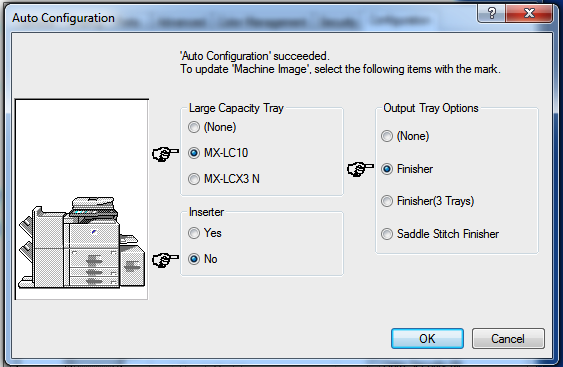 Select whether you want the copier to be your default printer in print dialogs. This can easily be changed later. 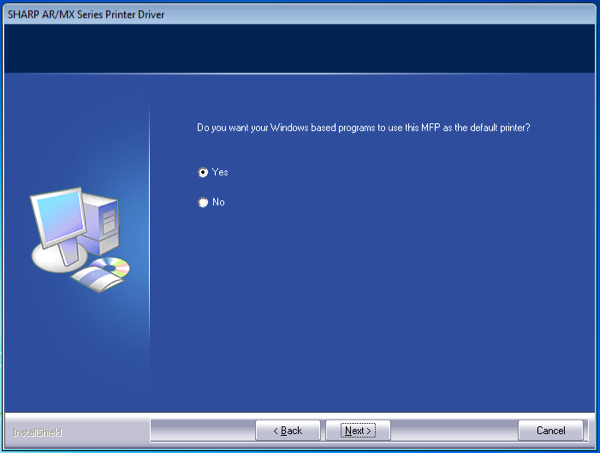 You may be prompted to reboot your computer after the installation completes. If so then reboot and return to these instructions, the copier set up is not complete yet. 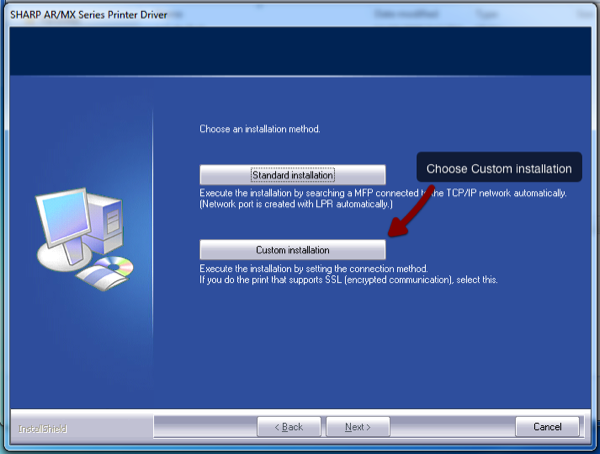 Now that the software is installed you must set up the new printer, making sure you have the correct options selected for the copier. 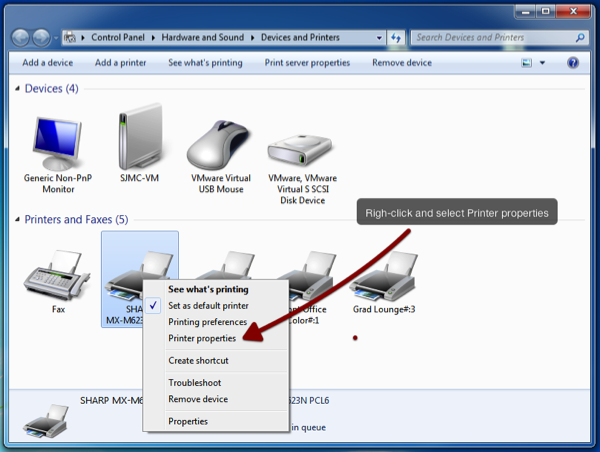 Click the Start button and select Device and Printers. 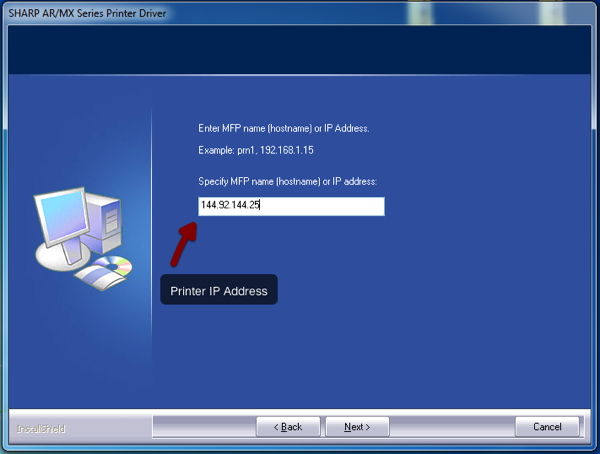 In the Devices and Printers windows right-click on your new printer and select Printer properties. 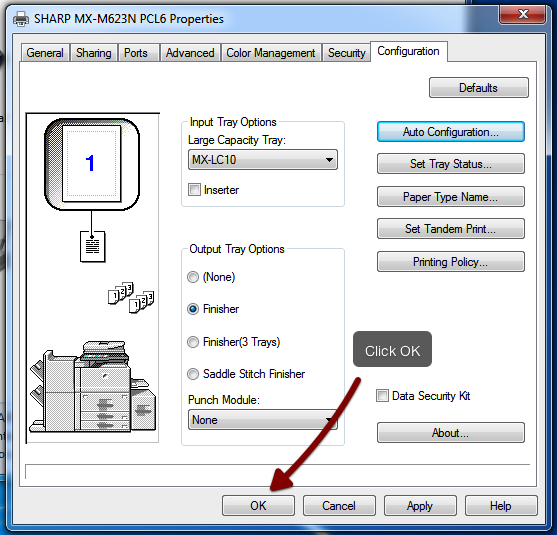 Click the Configuration tab, then click the Auto Configuration… button. 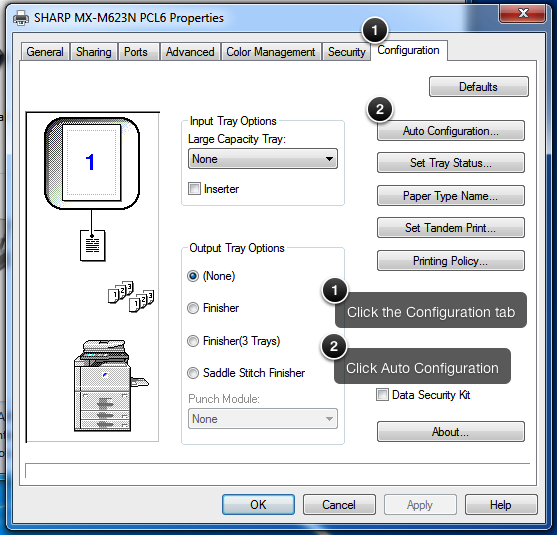 The software will communicate with the copier and present you with the options it found. Select the buttons with the icons near them exactly like the image below, then click OK. The copier set up is complete!